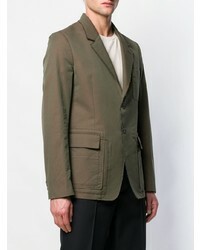 For a nothing less than incredibly stylish look, team an olive blazer with grey wool dress pants. 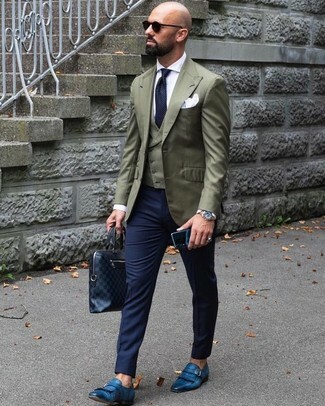 For something more on the daring side to complete this ensemble, opt for a pair of brown leather derby shoes. 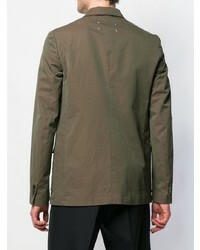 Wear a Maison Margiela single breasted blazer with a dark brown dress shirt like a true gent. 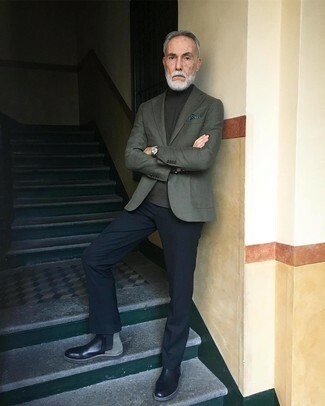 For a nothing less than incredibly stylish outfit, marry a Maison Margiela single breasted blazer with black dress pants. 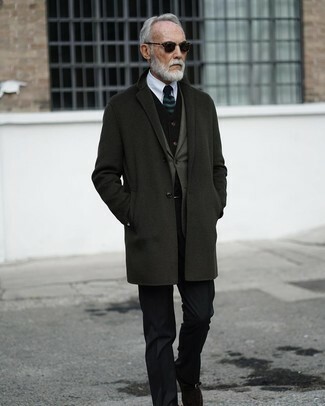 For something more on the daring side to complement this getup, opt for a pair of dark brown leather derby shoes. 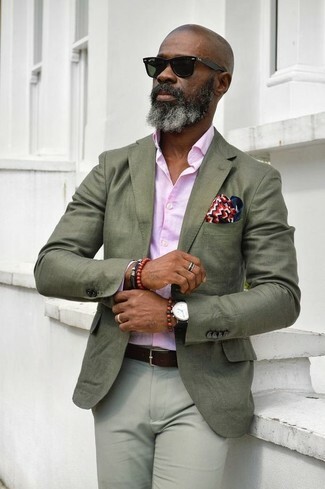 Dress in a Maison Margiela single breasted blazer and navy dress pants for incredibly stylish attire. Throw in a pair of blue leather monks to make the getup more current. 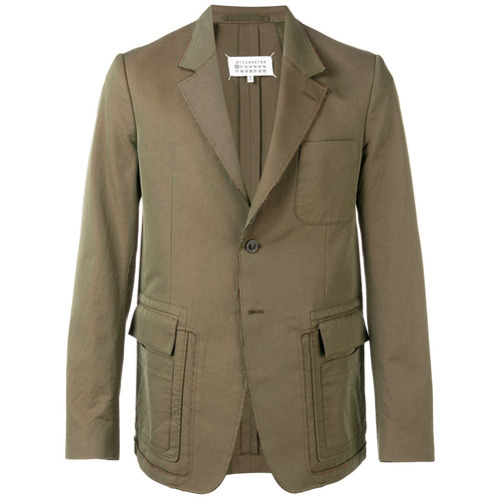 Opt for an olive blazer and black dress pants for an extra stylish ensemble. Complete this look with black suede monks and off you go looking spectacular. 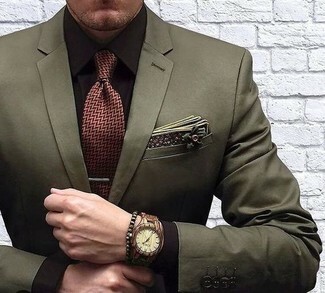 Combining an olive blazer with black dress pants is a nice option for a classic and classy look. Complete your outfit with black leather chelsea boots to infuse a dash of stylish casualness into your getup. 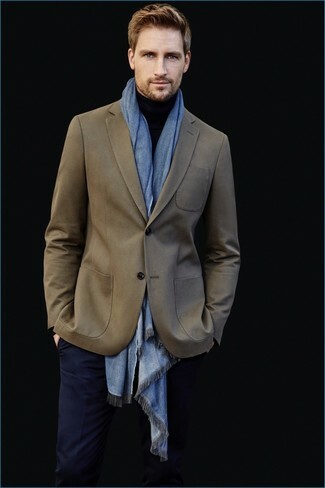 Reach for a Maison Margiela single breasted blazer and navy dress pants for incredibly stylish attire. 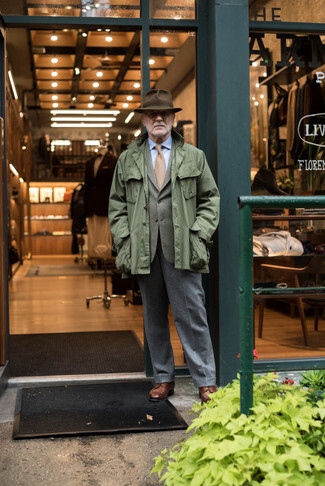 Dress in an olive blazer and khaki dress pants like a true gent. Tan suede desert boots will add a more relaxed feel to your getup. 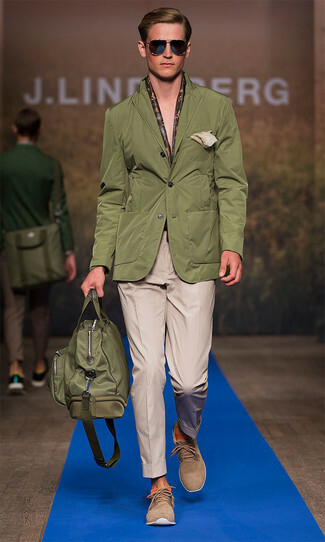 For a smart casual getup, opt for an olive blazer and grey chinos — these two pieces a work setting well together.